Best selfie at Cleckenwell Design Week secures the swanky seat! This article was printed in the Yorkshire Post Business Diary page 8 on 6 June 2017. 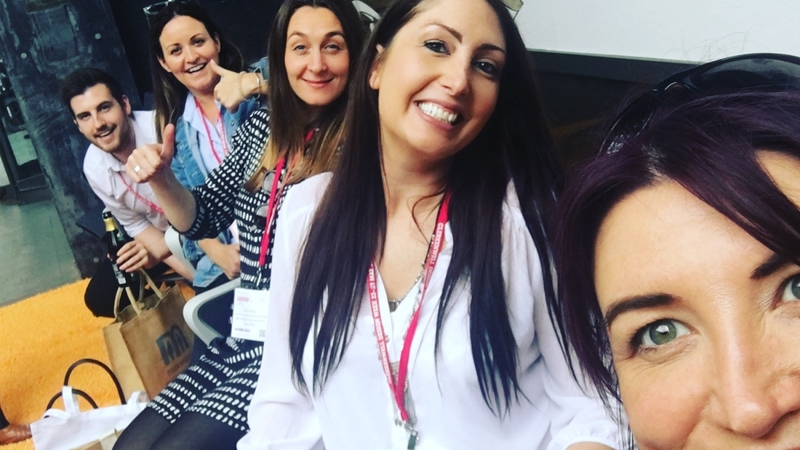 A North-East workplace design team have beaten off 35,000 to win best selfie competition! Newcastle workplace design team Ben Johnson Interiors always visit the prestigious Clerkenwell Design Week in London at the end of May to explore the latest office interiors trends, see new products and meet suppliers. This year there were over 250 exhibiting brands and over 35,000 people attended. So, imagine the team’s surprise a week later when they saw a Twitter post to say their team selfie picture – taken while they were all attempting to sit on the latest Sedus “Se-Joy” office chair – had won them the very chair they’d been fighting over! A similar article was also published on the BDaily website.